In April 2016, the European Parliament adopted the European Union General Data Protection Regulation (GDPR, officially EU 2016/679) that came into effect in May 2018. The regulation replaces the 1995 EU Data Protection Directive (DPD) and introduces new, stricter provisions. The legislation directly impacts all companies based in, or doing business with companies/individuals based in the European Economic Area (EEA), which comprises the EU, Norway, Iceland, and Liechtenstein. With GDPR, one of the biggest disruptions in data privacy space, already in effect, organizations should be off the mark from the data protection enablement standpoint. As organizations embark on their transformation journeys, taking not only a legal but a comprehensive view of data privacy is imperative. This includes understanding the implications of the law from the industry, technology, locations, and vendors’ standpoint. In the first part of our series of whitepapers on GDPR, we looked at key changes proposed by GDPR and their impact on global service delivery through the lens of increased overheads, opportunity for transformation, and push towards consolidation. In this whitepaper, we highlight second-level insights into the business implications of GDPR across multiple industry verticals. 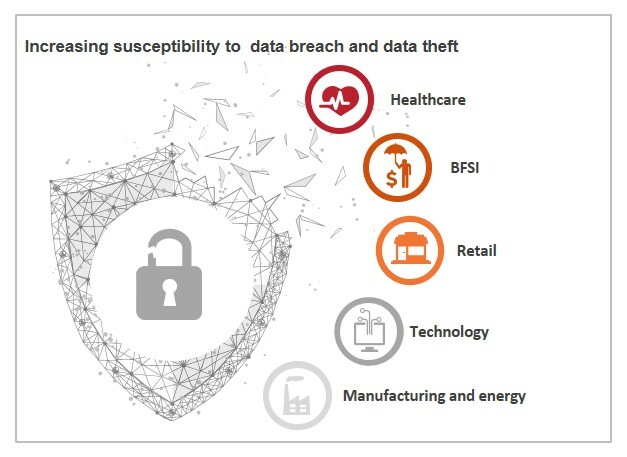 This includes perspectives on susceptibility to data breach, typical data flow structure, and related data privacy considerations across different industries. In the next edition of our series of whitepapers on GDPR, we will focus on business implications of GDPR from the standpoint of technologies, locations and service providers. Keep watching this space for more!